Marketing support often gets the short-end of the budgeting stick at nonprofits, and whatever funds marketing efforts do receive are typically allocated to support fundraising campaigns. Moreover, it is difficult to find funders willing to fund marketing, let alone efforts focused on raising brand awareness. ✓ MEASURE. ✓ PLAN. ✓ BUILD. While it might feel like the rational thing to do in the short-term, putting brand awareness efforts on the backburner can result in negative outcomes for your fundraising efforts in the long-term. 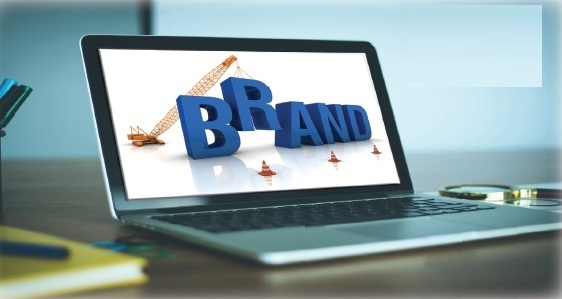 Unless you’re a large, well-known nonprofit that is reaping the benefits of high brand awareness levels stemming from decades of establishment, you are likely going to run into issues with your donor acquisition program if you’re not investing in your brand. Sooner than later your pool of prospective donors will dry up and it becomes too costly to acquire new donors because they don’t know who you are and what you do. Your fundraising efforts have to work overtime. They have to communicate: “Hi, I’m x. I do y, and you should give to me because z.” This means your frequency goes up and your cost of fundraising can skyrocket. You only want to be paying for your fundraising efforts to say, “you should give to me because z.” In an ideal world you want a pipeline of potential supporters who know who you are and what you do. That way, when you’re ready to acquire new dodonors you can focus your message on the most compelling ask and you can make the acquisition as efficiently as possible. The way to create that pipeline is to invest in brand marketing and engagement campaigns. But, it can be a hard sell. Leadership often wants to know why they should invest in brand marketing instead of fundraising efforts or the myriad other needs competing for funding. You might even be asked to estimate the return on investment for brand marketing efforts. This can feel like (and can be) a challenging request. How can you prove the value of brand marketing when so many factors (many of which are out of your control) influence it? One way to start is by looking at the relationship between your brand awareness and your fundraising revenue. To do this, however, you need to be fortunate enough to work for an organization that tracks your brand awareness on a regular basis, ideally at least semi-annually. You can look at how brand awareness changes over time compared to your fundraising revenue if you have this data. For example, if you have quarterly brand awareness data, and most of your marketing and fundraising efforts are done online, then you can look at the correlation between your brand awareness and your quarterly digital revenue over time to see the strength of the relationship. Note, any correlation greater than 0.5 is generally considered a strong positive relationship. You can also use this data to estimate what level brand awareness you would need to hit a certain threshold of digital revenue. Here’s a note of caution. Estimates such as this should only be used directionally. Correlation is just that, not causation. And as a seasoned fundraiser you know that lots of things can impact fundraising results and create noise in the data -- from elections and changes in tax laws to disasters and cuts in budgets. If you perform the data analysis and you’re not seeing a strong positive relationship, this exercise might at least be a helpful starting point in discussing other factors that could be influencing your revenue levels. If you are in the camp of not having regular access to your brand awareness levels over time (or at all) you could consider doing a point in time test to help validate the benefits of investing in your brand. One way to do this would be to partner with a media vendor that can offer brand lift testing as part of their media platform. You will get a read on your brand awareness levels pre and post-campaign. One caveat is that you need to invest enough in the campaign to get significant results. If you operate at the local or state level, this might not be too challenging, but if you need a national read, you may need a substantial budget. Sometimes, if you are lucky and willing to be a case study, you can get the media and study donated. It never hurts to ask. While a brand lift study will provide you with an understanding of the effectiveness of your marketing campaign on brand awareness, it is more difficult to tie the impact to your fundraising performance. One easy solution is to use additional questions in the brand lift study to measure pre and post levels of “intent to support.” This is self-reported behavior, however, and many studies show that people overestimate the extent to which their own actions are guided by their good intentions. One option that can remove this bias is to add more conditions to the brand lift study. You could structure the test so that pre-campaign brand awareness levels are taken from the control group and they are not served any branding efforts. They, are served, however, a fundraising ask. The same is true of the setup for the test group, however, they are served both the brand efforts and the fundraising ask. Now you can measure the impact of the branding efforts as well as the impact that the branding efforts had on the fundraising efforts. A few additional considerations with this method: • You might see a short-term bump in brand awareness but it is not likely to sustain without sustained marketing support; and, • Media vendors want to prove the value of their platforms. Make sure you’re asking about and are comfortable with how they are measuring statistical significance. Remember, 95 percent confidence is a good rule of thumb. The first investment you make in your brand should be in measurement. In the long-run this will be critical to helping you make case for why branding efforts shouldn’t be put on the backburner.